His eyes have stolen your soul! Justice League character Poster of Aquaman. The comic version of Aquaman has gotten a bad rap compared to the other superheroes. Which is unfortunate and doesn’t make too much sense, as the character is one of the most powerful superheroes Earth has ever seen, across all comic franchises, not just DC. Most people think of Arthur Curry, otherwise known as Aquaman, as a token blonde bimbo as he was mistakenly portrayed in the 1970s era Superfriends cartoon. Sheldon Cooper’s badmouthing the character on the popular sitcom The Big Bang Theory definitely hasn’t helped his image. He is super strong, even on land, has nearly impenetrable skin and enhanced senses. If he is near water those powers grow exponentially. He can command all sea life and more than just talking their language, he is their crown prince, and later king. He was chosen to rule the sea by Poseidon himself, seen by the god as a better ruler than even himself. His trident controls the weather, and is sharp enough to puncture even the Man of Steel’s skin! According to Jason himself, he started out being rejected for role after role, due to people thinking he couldn’t play anything other than the stern, gruff Khal Drogo. In Game of Thrones he plays a strong king, who grows to love and respect the beautiful Daenerys Targaryen in a way most women of his people aren’t revered. (Spoilers ahead!) Drogo ’s death broke many fans hearts, not only for the death of the character but because they were going to miss out on seeing Jason’s face for the seasons to come. Jason even states there were some people who thought the Dothraki language he solely spoke in the HBO masterpiece was his real language. He spoke the made-up language so well people thought he couldn’t speak English. Other than Game of Thrones, Jason has played roles in quite a few other movies or shows. He started Baywatch back at the turn of the century, where he played eye candy to the world. He moved on to a major character, Ronon Dex, in Stargate: Atlantis, a warrior-class alien that served with the main stargate crew of the era. His first “big screen” role was as the titular character Conan the Barbarian, where he got to play a warrior with a little more humor, letting his natural comedic timing showcase his equally natural beauty. Even more recently, he was cast as a fur trader from early American history in the Netflix original, Frontier. 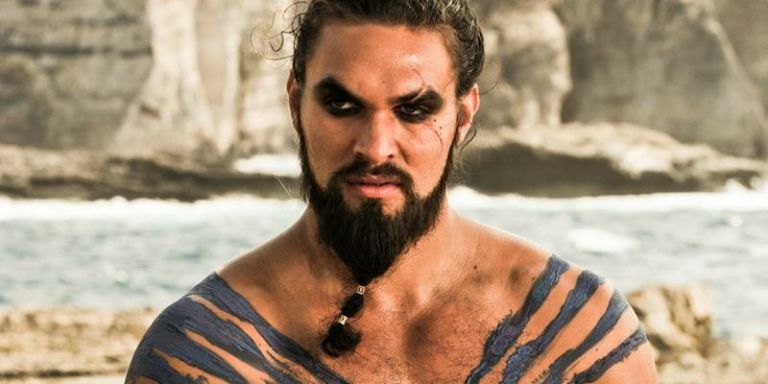 It was Jason’s role as Khal Drogo, however, that allegedly made director Zack Snyder decide he wanted the Hawaiian born hunk as his oceanic demigod. 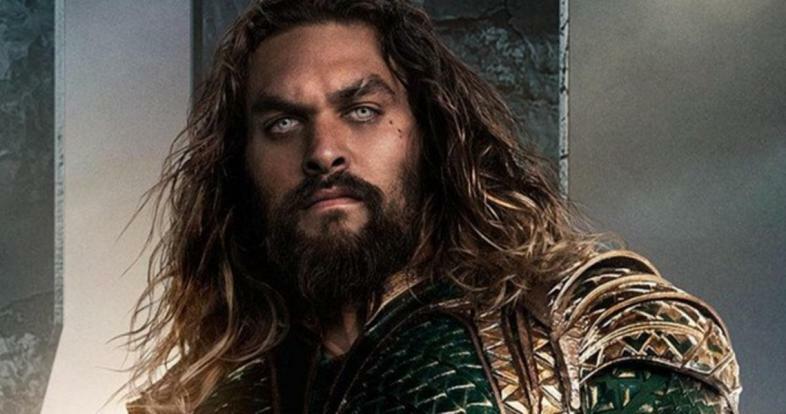 We first got a good look at Jason’s breakthrough portrayal of Aquaman in 2017’s Justice League. According to Jason, “Justice League was only a weekend in Arthur Curry’s life.” Arthur Curry (the alter ego of Aquaman) starts out having no clue he is the prince of the seven seas. The movie will go on to show him gaining and learning about his newfound powers, fighting his way through being generally not accepted by his “peers” and coming into his own. Worldwide, being cast as a superhero in any film is a big deal. Even the already-popular actors that now get to fly, or smash, or whatever power they happen to have are known synonymously with their superhero name. Robert Downey Junior is Iron Man. Henry Cavill is Superman. And now Jason Momoa is Aquaman. And he will remain so for boys and girls (of all ages) around the world for a long time to come. This upgrade in the eyes of public opinion comes with some perks too, of course. The lead role for most superhero movies usually earns between $300,000 and $500,000 upfront per movie, with back-end compensation if the movie does well. Additionally, he is signed up for at least four Aquaman movies, so the Hawaiian will definitely not have any trouble putting food on the plate in the foreseeable future. This is a huge DCEU contract for any comic book hero, especially one that no one really thought they wanted to see in the first place. Boy, has Jason changed our minds? I, for one, can’t wait to see more of the beautiful Jason Momoa, even when he keeps his shirt on! I am Ashlyn, Mother of Goblins, Queen of Snakeys and Puppies, Writer of Abundance, and Eater of All the Foods.